Today is Sydney's actual 1st Birthday! Happy Birthday, Sydney! I knew I had to blog her session today because not only am I close to finishing her session, but since it's her birthday I wanted to share as many photos as I could! I've been photographing Sydney since she was still growing in her mom's belly! I took moms, Nicole, maternity photos in May of last year. Just a couple of weeks before Sydney was born. The maternity session took place outdoors on the beach at sunset, and I still love them to this day! Mom had signed up for my Grow With Me Package, which is an entire year of photos! I have been able to capture maternity, newborn, three months, six months, nine months and now one year. I remember Sydney's newborn photos so well, she was such a peanut. I can't believe an entire year has just flown on by! I'll be sure to share some comparison photos throughout the blog! 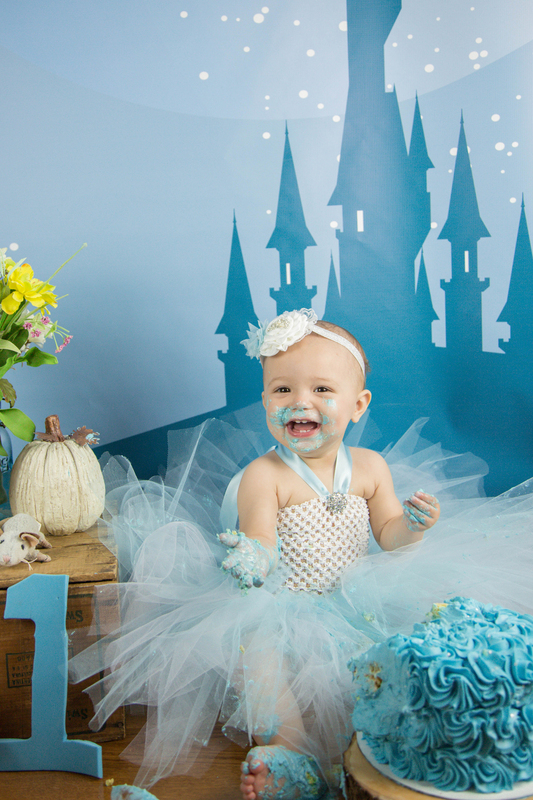 For Sydney's cake smash theme, I spoke to Nicole around Sydney's 6 month session. I had had this Cinderella backdrop for the past 3 or so years, and had only used it at a wedding once. I had been hoping to do something fun with it, and mentioned as much to Nicole. 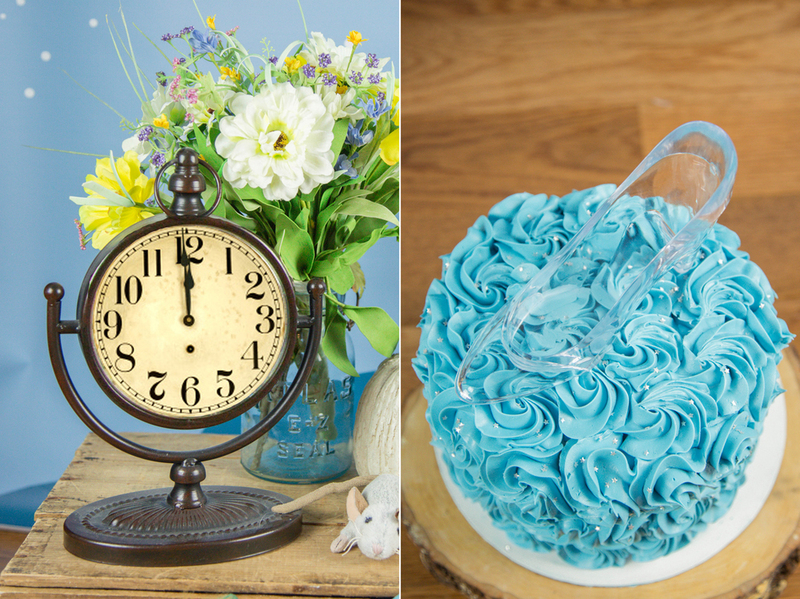 She loved the idea of a Cinderella themed cake smash and birthday party, so we started planning! The cake was made by the ever amazing Kristin from The Cupcakerie, located in Cranston, RI. She bakes all of my cake smash cakes and I adore her work. 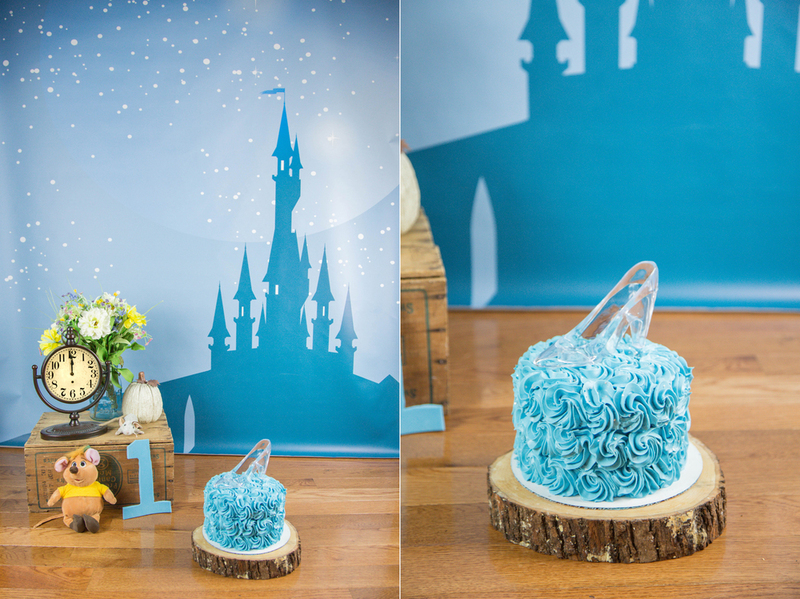 Nicole wanted a simple cake, but I think even Cinderella would have loved it! It even has the glass slipper on top. (or plastic for safety, haha). We even had a clock set to midnight, a couple of mice (include the ever adorable GusGus! ), and the castle backdrop to pull it all together. This is probably one of my favorite cake smash sessions to date. Fun themes such as this are always so fun to plan! 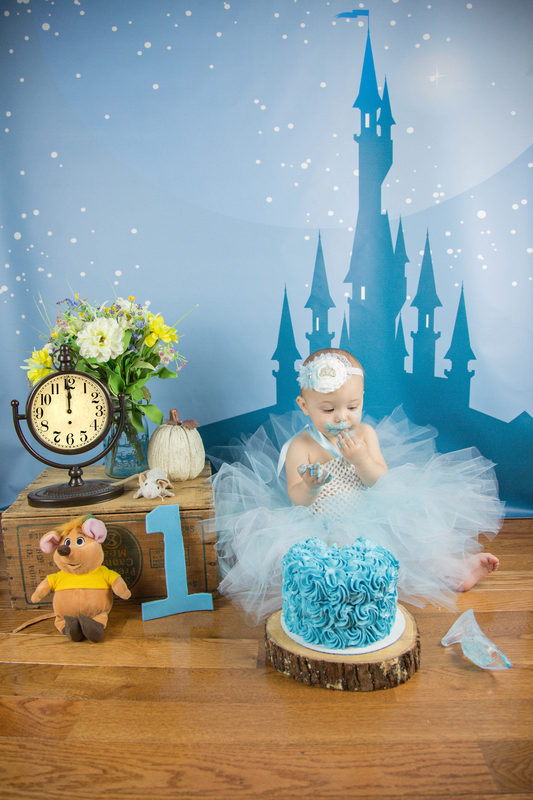 Here are lots of photos from Sydney's one year photos, and her cake smash as well. I hope you enjoy them as much as I loved capturing them. And a very, Happy, Happy Birthday Syndey! Maternity, Newborn, 3 Months, 6 Months, 9 Months & 1 Year.